A slip and fall accident can occur suddenly and without warning. Some people are able to get back to their feet and move on with their lives without any harm. In many other cases, however, a person can suffer devastating injuries that lead to several weeks, months, or even years of complications. A slip and fall accident often stems from a property owner’s negligence, such as failure to clean a wet floor or correct another hazardous condition. Property owners in most cases though will usually claim that a victim was at fault for their own injuries. Did you suffer serious injuries or was your loved one killed in a slip and fall accident in Maryland? It will be in your best interest to quickly seek legal representation. CHASENBOSCOLO has offices in Greenbelt, Waldorf, and Hyattsville. Call (301) 220-0050 or contact us online to receive a free consultation. Do I Need A Slip and Fall Accident Lawyer? Because most property owners (and their insurance companies) are likely to argue that you were the one responsible for your accident, you will want an attorney just to have somebody on your side. A lawyer will be able to conduct an independent investigation of your accident, determine the cause, and collect all relevant evidence. You will often be at a disadvantage by attempting to handle your claim on your own. An insurance company for the property owner will likely contact you soon after your accident to inform you that a claims adjuster has been assigned to your case. The claims adjuster will usually contact you and ask you to provide a recorded statement, which you should always decline. People who agree to do this often unknowingly admit to some degree of negligence and ultimately damage their claims. In other cases, an insurer may offer you a lump sum settlement to resolve your case. You will want to have an attorney negotiating any settlement because what you are originally offered is almost certainly far less than what you are actually entitled to. CHASENBOSCOLO has recovered more than $750 million for our clients since 1986. Our record of success includes $1.4 million for a client who was pushed down a flight of stairs and suffered leg injuries requiring partial amputation. Barry M. Chasen is a member of the Maryland State Bar Association, Association of Trial Lawyers of America, and Maryland Trial Lawyers Association. Benjamin T. Boscolo is a member of the Maryland State Bar Association who served as president of the Maryland Workers Compensation Education Association. 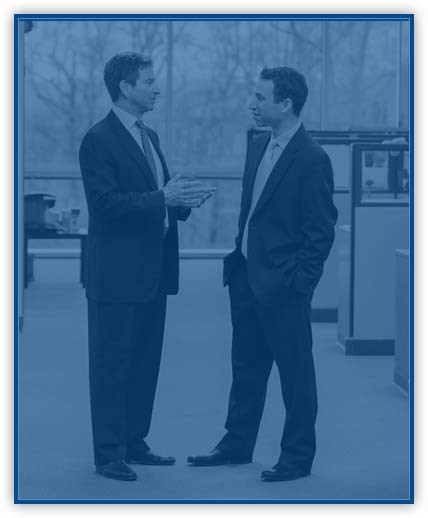 Our team includes 25 lawyers and over 90 professionals with more than 100 years of combined legal experience. We are available 24 hours a day, seven days a week so you will always get answers to all of your questions. CHASENBOSCOLO also provides the No Fee Guarantee® so you only pay when you receive a financial award. Our firm will negotiate a settlement that covers all of your past, present, and future expenses, but we can file a lawsuit to try your case in court when an insurance company does not make an acceptable offer. When your slip and fall accident occurs in a public place such as a retail establishment, make sure that you file a report with the manager or supervisor on duty. Ask for a copy of the report and store it somewhere safe. If a slip and fall accident occurs on private property, avoid getting into an argument with a property owner. Make sure you have the property owner’s contact information and contact a lawyer. Some slip and fall accidents can result in fatal injuries. The family members of the deceased can file wrongful death lawsuits against negligent parties in such cases. If you’ve been hurt in a slip and fall accident, turn to our Maryland injury attorneys for the qualified legal counsel you deserve. We are available day or night to answer your questions and help you understand your rights. Contact us at (301) 220-0050 or reach out to us online. To learn more about these claims, read our FAQs below. Defendants in personal injury cases in Maryland are allowed to use a contributory negligence defense, which the state defines as the “degree of reasonable and ordinary care that a plaintiff fails to undertake in the face of an appreciable risk which cooperates with the defendant’s negligence in bringing about the plaintiff’s harm.” A defendant must prove contributory negligence by a preponderance of the evidence, but a successful contributory negligence claim will bar recovery of any damages by the plaintiff. Maryland is one of only five states in the nation that recognizes a contributory negligence defense, and people need to be aware that insurance companies will often aggressively seek any way possible to find evidence of contributory negligence. One of the easiest ways to do this is usually through a victim’s own statements, which is why you should avoid speaking to any insurance company until you have legal counsel. What damages could I recover in a slip and fall accident lawsuit? While many slip and fall cases are resolved through settlements, some cases will go to trial. Insurers generally prefer to settle because it less costly, but there can be cases in which the insurance company believes it will prevail in court. When a victim proves that a defendant’s negligence caused their injuries by a preponderance of the evidence, the jury can award compensatory damages, which are usually a combination of economic damages and noneconomic damages. Economic damages refer to actual tangible costs while noneconomic damages are much more subjective. Economic damages include medical expenses, lost wages, and property damage, while noneconomic damages may be for emotional distress, pain and suffering, or loss of consortium. Under Maryland Courts and Judicial Proceedings Code § 3-2A-09, noneconomic damages have a limit (often referred to as a “cap”) of $860,000 in 2019, and state law requires the limitation on noneconomic damages to increase by $ 15,000 on January 1 of each year. What needs to be proven to win a slip and fall accident case? Any negligence claim filed in Maryland will require a plaintiff to prove four things. A defendant needs to have had a duty of care to ensure a person is not hurt on their property. The defendant must have breached that duty by not ensuring that a person was hurt on the property and the breach of duty must have caused the plaintiff’s injuries. Then the plaintiff must prove that the injuries caused actual damages. What should I do if I was involved in a slip and fall accident? The first step when you are involved in any slip and fall accident is to make sure that you receive medical care. Even if you do not believe you were hurt, it is still wise to go to a hospital to make sure that you did not sustain an injury that might involve delayed symptoms. When an accident occurs in a place of business, be sure to file a report and ask for a copy of the report. Also try to take photographs of everything involved in your accident, particularly the hazardous condition that caused your injuries. You will want to do this before the property owner corrects the condition and evidence disappears. If anybody else saw your accident, you will want to get their contact information in case witnesses are needed. If you cannot take these measures yourself, ask a friend, family member, or co-worker to do this for you. Finally, try to contact an attorney as soon as you can, preferably before you speak to any insurance company. How long do I have to file a slip and fall accident lawsuit? Under Maryland Courts and Judicial Proceedings Code § 5-101, you have three years from the date of your accident to file a civil action. Certain exceptions do exist to this statute of limitations. A person who is incapacitated as the result of their accident can also have their limitations period tolled until their incompetency ends, and a minor who is injured in a slip and fall accident can have their limitations period tolled (delayed) until they reach the age of majority which is 18 years of age. If you sustained catastrophic injuries or your loved one was killed in a slip and fall accident anywhere in Maryland, do not delay in looking for a lawyer. You only have a limited amount of time to take legal action and an attorney will know how to hold the negligent party fully accountable. CHASENBOSCOLO puts the interests of our clients first and we fight to help people recover all of the compensation they are entitled to. We can assess all of your legal options as soon as you call (301) 220-0050 or contact us online to schedule a free consultation.